Cheverus took home the Yankee Ford Classic last night, defeating Staten Island's Susan Wagner 65 - 38. Gatineau defeats the MAINEiacs at the Colisee Tuesday Night 5 - 4. 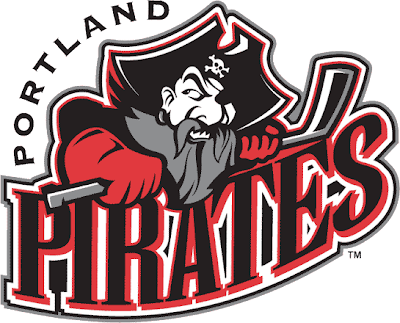 Celebrate New Year's Eve in an early game tonight at the Cumberland County Civic Center, as the Pirates take on the Norfolk Admirals at 5:30 tonight! The Boston Celtics are 1 - 3 on the current West Coast road trip, falling to the Portland Trail Blazers 91 - 86. The Bruins just win...PERIOD! After getting a little public scrutiny from Coach Julien, Marc Savard and Phil Kessel had huge offensive nights and Milan Lucic quickly beat down, literally, an attempt by the Penguins to ignite a spark. The Bruins downed the Penguins 5 - 2. Canisius downed the Black Bears in Men's Basketball Team in Orono, 56 - 43.